Welcome to St. Basil Catholic School! St. 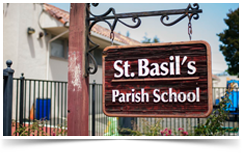 Basil School was founded by the Sisters of St. Joseph of Carondelet in 1949 to provide an elementary school with a firm academic and spiritual foundation to families in Vallejo, California. A Catholic parish school affiliated with St. Basil Church in the Diocese of Sacramento, St. 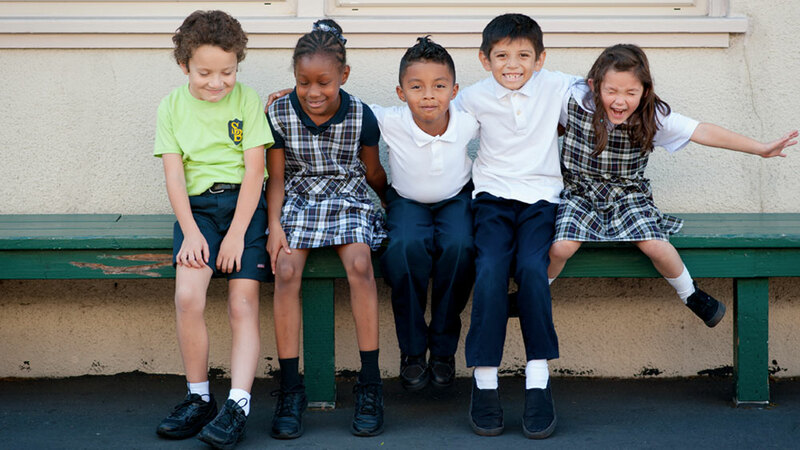 Basil offers a co-educational curriculum from Preschool through Eighth Grade. St. 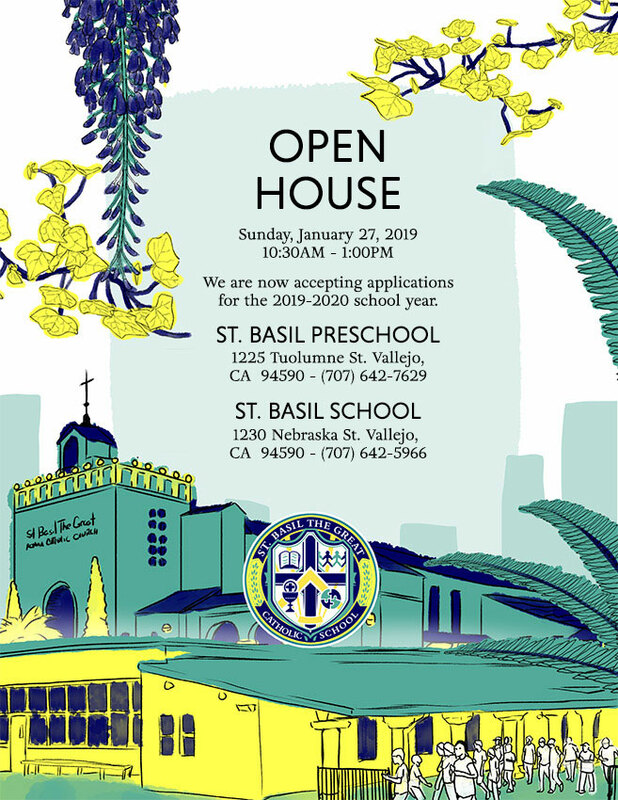 Basil School is state-licensed as well as being accredited by the Western Association of Schools and Colleges (WASC) and the Western Catholic Educational Association (WCEA). 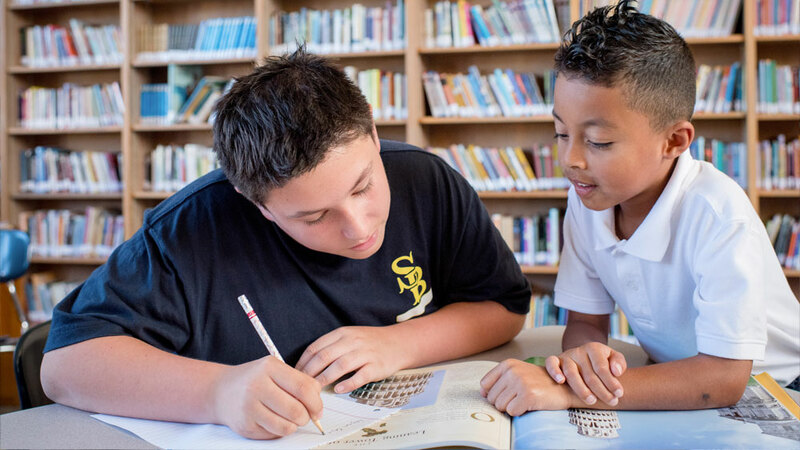 Our curriculum meets the standards set forth by both the Diocese of Sacramento and the State of California. 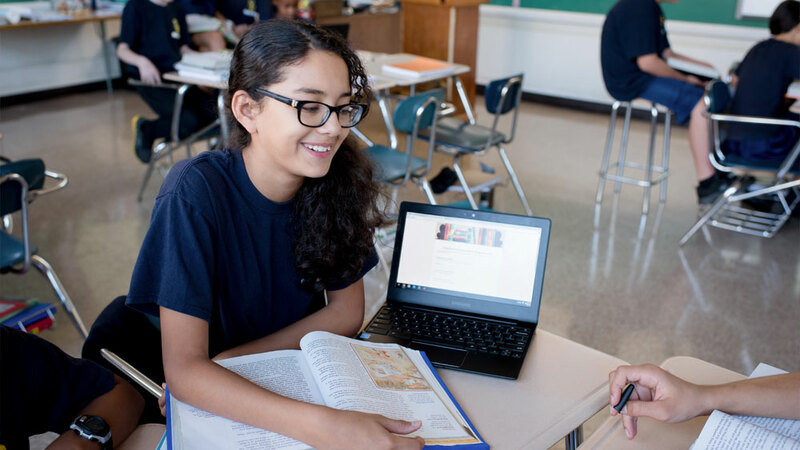 In addition to the core courses, Religion, Spanish, Music, Art, Technology, and Physical Education are provided. We also offer Extended Care . For over 60 years the faculty and staff at St. 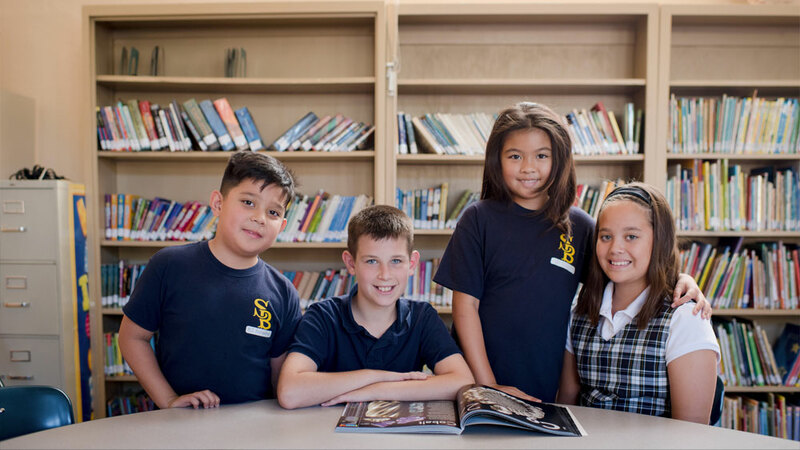 Basil have aspired to create a fulfilling and enriched elementary school experience for our community's children, an experience filled with faith and values, knowledge of the world and knowledge of oneself. To this end, we provide a caring, safe and secure setting where true learning occurs, students thrive, and blessings abound!